Even in this year of torrents, blight, pests and pestilence, the farmers’ markets are currently replete with late summer and early fall delectables. 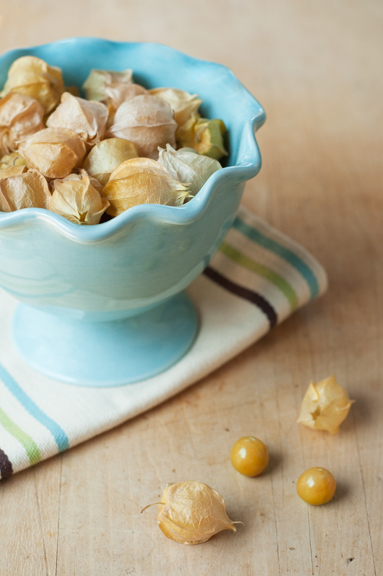 I think I saw husk cherries for the first time last year at the Thirty Acre Farm stand. This year others have them as well. Randomly, we discovered one husk cherry plant growing in our garden recently. No idea where it came from other than possibly a stray seed that took root in the compost. What a nice surprise when we discovered what it was though! 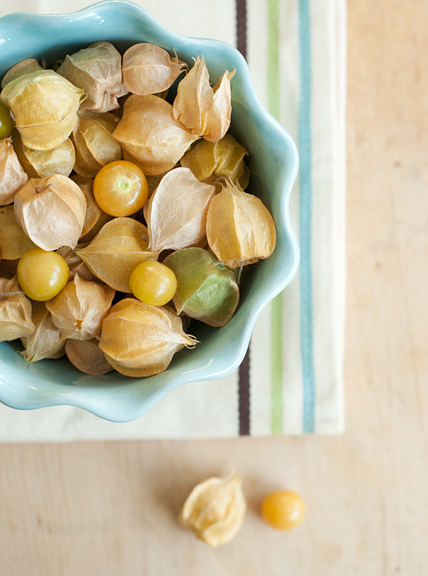 Husk cherries (also called ground cherries) are in the same family as tomatillos and Chinese lanterns. In fact, when I first saw the plant in our garden, I thought it was a Chinese lantern. But inside the green husks, which eventually turn papery and golden, are firm, marble-sized, yellow globes that are both tart and fruity. People often describe them as having a pineapple flavor. 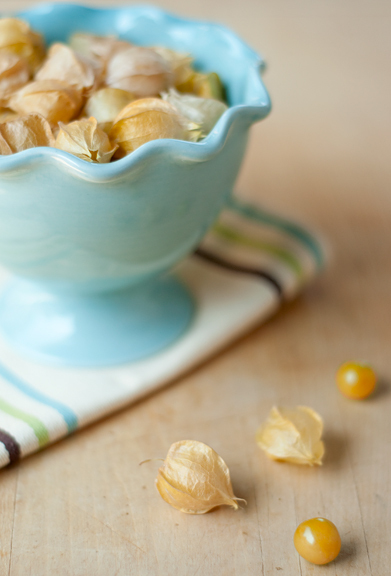 To eat them you just squeeze the stem end of the husk and pop out the fruit. I’ve only put them directly into my mouth as a refreshing treat, but apparently they are very good in salads and dipped in chocolate as well! There’s a good description of them here. I’m experimenting with a new camera so did variations ad nauseam with these lovely things. Let me know which one you like the best! This entry was posted in food on September 9, 2009 by Stacey Cramp.